The Impress Reflection Collection of acrylic awards are made of 1" Thick Clear acrylic with hand polished reflective grooves. Available with blue, gold or clear silver reflective bottom. 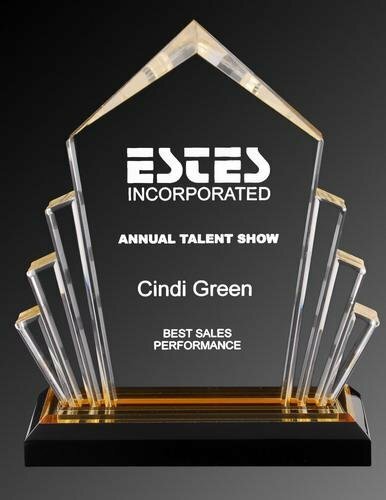 These Impressive acrylic awards are available in 2 sizes.